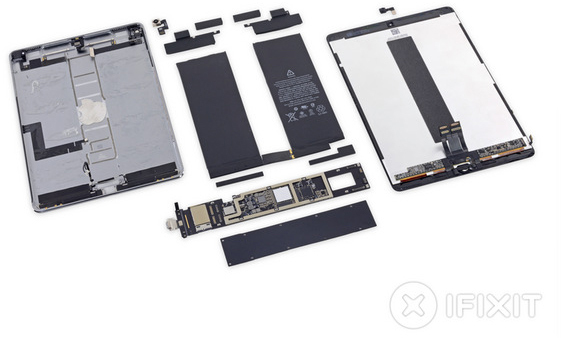 iFixit has once again published another tear down of an Apple product, this time taking apart the newly released 10.5-inch iPad Pro, providing a closer look at the tablet’s internal design. 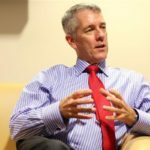 The industry’s emphasis on increasingly thin and light devices has not come without a cost. The do-it-yourself (DIY) repair enthusiast has largely been shunned in recent years, especially by Apple, and as such, it is not the least bit surprising that its new 10.5-inch iPad Pro is quite difficult to repair. iFixit gave the tablet a Repairability Score of 2 out of 10 (easiest to repair = 10). The company’s newest iPad model sticks to a familiar script of using “strong adhesive” to hold the chassis shut. On the plus side, the thinner bezel makes it easier than before to wedge a pick in between the display and laminated glass. Once inside, Apple earns kudos for using standard Phillips screws over the display cable bracket, though that’s where the praise ends. As you dive deeper into the iPad Pro, you’ll discover even more adhesive, such as on the speaker. Once that is removed, you’ll have access to the rear-facing 12-megapixel camera and light sensor, the latter of which is covered by a green/white/clear filter that presumably helps with the True Tone system. One of the few exceptions in opening up a tablet is to replace the battery. The original iPad Pro made replacing the battery bit easier by using pull-tabs, but no such luck with this latest model – in its place is “nasty gooey adhesive.” While the battery is not soldered in place – and therefore replaceable – it is “very solidly adhered” in the 10.9-inch iPad Pro. iFixit discovered that it includes four connecting cables between the ProMotion display and the internal hardware. Previous iPad Pro models, including the larger 12.9-inch model, required only two such cables. One can only assume that the data throughput needed to power a 120Hz display with fluid refresh rate explains the need for twice as many connectors. 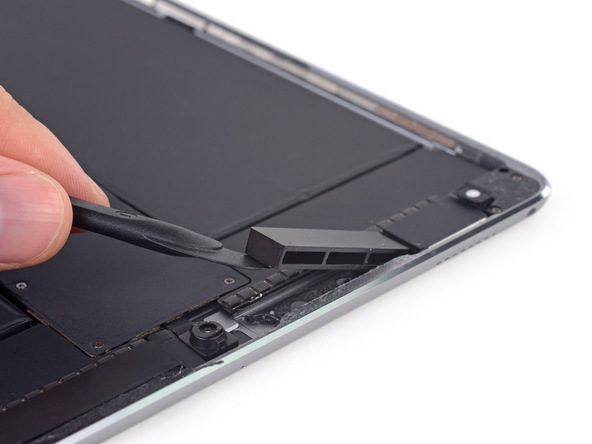 After giving the latest iPad Pro a full teardown, iFixit awarded the tablet a measly 2 out of 10 Repairability Score. The iPad Pro lost points for using lots of glue to hold everything in place and for fusing the front panel, which both increases the cost of screen repair and ups the risk of damaging the LCD when opening up the iPad Pro.